Not an opera fan? Well you should be. Here’s an interesting bit of trivia. Did you know that one of the most famous German operas is all about competitive rifle shooting? Believe it or not, the popular von Weber opera Der Freischütz (“The Marksman”), features shooting matches and precision bullet-making. Andre Rieu with the ‘Jagdhornverein Edelweiss’ and the Männerchor ‘Maastrichter-Staar’. 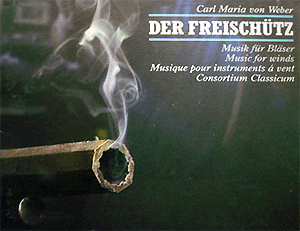 Der Freischütz (usually translated as “The Marksman” or “The Freeshooter”) is an opera in three acts by Carl Maria von Weber, with libretto by Friedrich Kind. It premiered on 18 June 1821 at the Schauspielhaus, Berlin. It is considered the first important German Romantic opera. The plot is based on the German folk legend of the Freischütz and many of its tunes were inspired by German folk music. Despite its daring innovations, it quickly became an international success, with some 50 performances in the first 18 months after the premiere. Among the many artists influenced by Der Freischütz was a young Richard Wagner. Jägerchor (Hunters’ Chorus) — full version with procession of ‘Jagdhornverein Edelweiss’ in Maastricht. Top Der Freischutz illustration from a Gruselkabinette CD (Episode 15) sold byTitania Medien. Share the post "Shooting Matches, Magic Bullets Highlight Der Freischütz Opera"
Being in such high demand, current-model Nightforce scopes rarely go on sale. 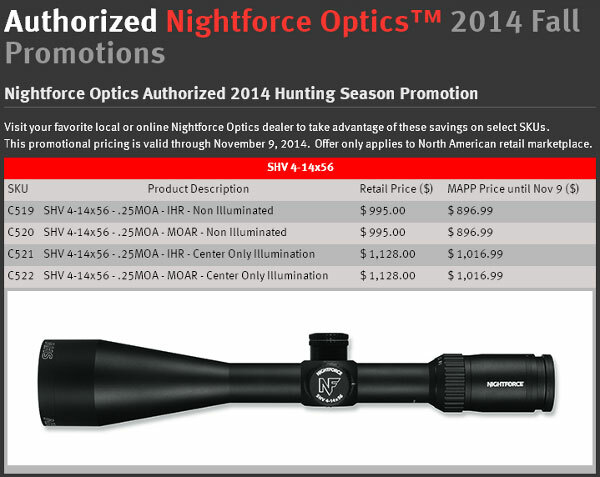 But right now, Nightforce is running a 2014 Fall Hunting Promotion with dramatic price reductions. You can save hundreds of dollars on popular SHV and NXS scopes with low to medium magnification levels. For example, the SHV 4-14x56mm, with MOAR reticle and center illumination is marked down from $1,128.00 to $1,016.99. And the savings are even bigger with First Focal Plane NXS models. The NXS 3.5-15x50mm F1 with ZeroStop, 1/4 MOA clicks and NP-RF1 reticle has been marked down from $2,543.00 to $2,160.00 — a $383.00 savings. CLICK HERE to see all discounts. 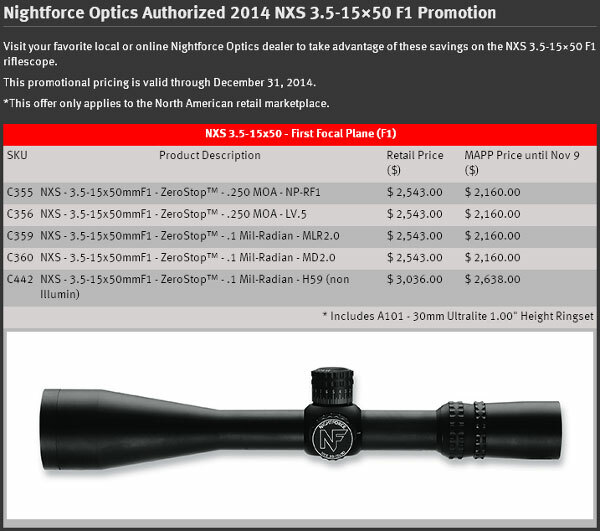 Share the post "Nightforce Sale on Hunting and Tactical Scopes — Save Hundreds"